Samsung has always been a reliable and trustworthy brand when it comes to smartphones and other smart devices. 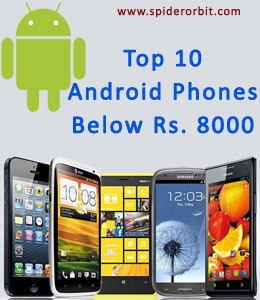 Samsung is known for offering good quality and feature rich phones at an affordable price range. 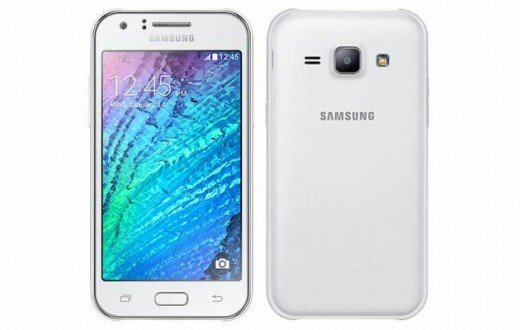 The Samsung Galaxy J5 made its launch in the market in the month of June, 2015. Most of the Samsung J series phones are quite appreciated and praised by the users. Similarly, the Samsung Galaxy J5 is one such smartphone that gained much popularity within a short period of its release in the market because of the incredible features it includes. Some of the features are listed below. The Samsung Galaxy J5 boasts a decent TFT multi touch display screen of 5 inches that offers a resolution of 720 X 1280 pixels and a 299ppi pixel density. The phone is 8.5mm thick along its waistline and weighs around 149 grams. The smartphone comes with a same old design and you might not observe many changes in the design of the new Samsung Galaxy J5. The phone is integrated with a Cortex quad-core A-53 Qualcomm Snapdragon processor clocked at 1.2GHz accompanied by a RAM space of 1.5GB that are fitted in the smartphone to offer seamless and powerful performance. The phone runs on the latest Google’s v5.1 Lollipop operating system along with the TouchWiz user interface by Samsung on the top. The phone also includes sensors like Accelerometer and Proximity sensor. The Samsung Galaxy J5 is equipped with an incredible rear camera of 13 megapixels which supports many handy features such as autofocus, geo-tagging, HDR, LED flash, face detection, touch focus and many more. The phone is also capable of recording full HD movies at 30fps. The Samsung J5 also includes a secondary camera of 5 megapixels which is decent enough for taking good selfies and making video calls to friends and family. If we talk about the storage of the phone then it includes an internal storage capacity of 8GB which can be expanded further using a microSD card up to 64GB. The smartphone houses a 2600maH Li-ion battery in order to enable the users to keep using the phone for a longer time without any interruptions. The 2600maH battery will ensure that you get a good battery backup for a whole day use of the phone. Moving to the connectivity aspect, the phone includes features like Bluetooth connectivity, 3G and 4G networks, mobile hotspot, Wi-Fi direct, GPS, Wi-Fi and USB port. The Samsung Galaxy J5 is a mid- range phone which is priced to fit the budget of every user. It comes at an affordable price of Rs.11,390 which surely does not put much strain on your pocket. Given in the features and functionalities that the phone includes, it is worth the price. Even though the Samsung Galaxy doesn’t include high-tech features and functionalities like expensive smartphones but then it includes almost everything that the user might expect out of his smartphone. The decent pair of cameras will be appreciated by people who love to capture photos. Therefore, if you are looking for a mid-range phone then you must definitely consider the Samsung Galaxy J5.